"I must confess I'm a little surprised," Roberto Mancini said after Saturday's stalemate with Portugal. His team had dominated the European champions for an hour, closing the first half with 72 percent possession. The performance lived up to the hype Italy had generated in the last international break when Poland and Ukraine were outclassed with skill, slick passing and fluid movement. Those displays went some way to explaining why fans turned out en masse for Saturday's game. It helped that the opponent, Portugal, was prestigious and a place in the UEFA Nations League semifinals was riding on the result. But the sell-out crowd at the San Siro also indicated that Mancini has won over supporters in double-quick time and gotten them to buy into what he is seeking to achieve with the national team. "We're a step or two ahead of where I thought we'd be," Mancini said in his post-match news conference, "Honestly I thought it would take a bit more time so I have to thank the lads for speeding up [the transition]." Parallels were inevitably made with a year ago when Italy drew 0-0 with Sweden at the same ground and missed out on the World Cup. But the mood is radically different now. As Luigi Garlando put it in La Gazzetta dello Sport, the Azzurri have gone from "the Apocalypse to Genesis", the end of the world to the start of something Italians can be cautiously optimistic about. "I'm confident," captain Giorgio Chiellini declared in the mixed zone. "There's the quality and enthusiasm to pick things up again in March. We can go into the qualifiers for Euro 2020 with great conviction." The mentality is back to where you'd expect it to be in a national team of Italy's history of success. 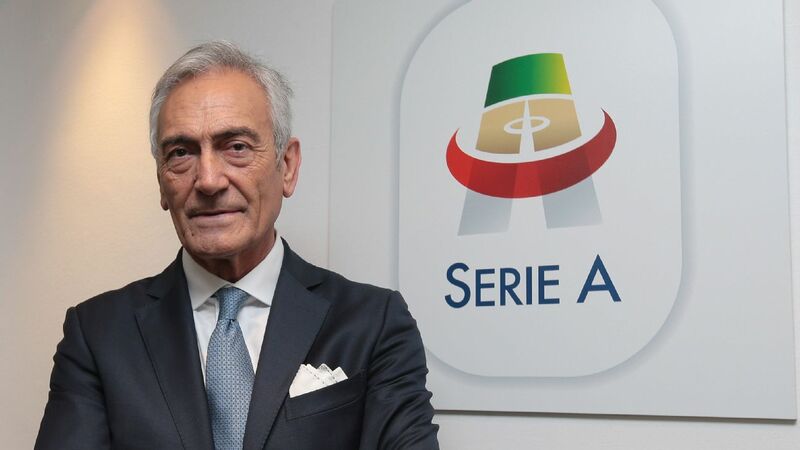 Since taking the job in the summer, Mancini has broken from the trend of Giampiero Ventura by repeatedly passing up the chance to talk down the national team. Asked earlier in the week if Italy is now healed, he said: "Healed is a bit strong. I don't think we were ever sick." The Nazionale has, however, recovered a sense of pride and is capturing the imagination with a freshened up squad and a style that hasn't hit these aesthetic heights since the Tik-Italia era under Cesare Prandelli. The midfield dazzled for an hour against Portugal and looks settled. Italians have waited a long time to see Marco Verratti weave his magic for the national team in the same way he has done for PSG over the years. Injuries have forced him to pull out of squads, miss the Euros and it's probably fair to argue that neither Antonio Conte nor Ventura played a system suited to his characteristics. Under Mancini he looks at ease and is surrounded by the right players to bring out the best in him. Whether it's his former Pescara teammate Lorenzo Insigne coming inside to combine in short-passing combinations or Jorginho, who performs a role similar to what Thiago Motta did with Verratti at PSG. The trio completed by Nicolo Barella -- "phenomenal considering how old he is," says Mancini -- already has the feel of a first-choice unit for Italy's competitive games. As that group faded, Italy did too and the need to go for it meant spaces opened up for Portugal that made the game too stretched for Chiellini's liking. "We have to get used to keeping our lucidity for the entirety of the game," he said. "We have lost our balance a bit in the last three." But the defence held. Leonardo Bonucci started shakily perhaps unnerved by the whistles San Siro reserved for him after he left Milan for Juventus in the summer. "The mother of imbeciles is always pregnant," he said, refusing to turn the other cheek. He grew as the game went on while Gianluigi Donnarumma made a fine save from the only shot Portugal mustered on target in the 75th minute. The Milan goalkeeper has had an up and down 2018 with his club, making a costly mistake in stoppage time in the Derby della Madonnina, but credit is due for the job he has done filling Gianluigi Buffon's gloves. Aside from the right-back position where Andrea Conti appears to represent the future, the team looks set in all departments apart from centre-forward. Italy's UEFA Nations League campaign has provided optimism for a nation that endured its biggest footballing failure at the end of 2017. When Federico Bernardeschi withdrew from the squad, Mancini had a choice: he could persist with the false nine experiment, asking Sassuolo's Domenico Berardi to fulfil the role of Bernardeschi and regularly interchange positions with Insigne and Federico Chiesa to make Italy's attack as unpredictable and fluent as it had been in the October internationals. Or he could hand Ciro Immobile another chance at redemption. The Lazio striker scored 41 goals last season and has nine in 16 appearances this year. On form, he should be starting but a record of one in 14 for his country did not inspire confidence and he fluffed a couple of chances. "I've got broad shoulders," Immobile said afterwards, fronting up rather than dodging the media. Italy have scored more than once on only one occasion in 2018 and that was against Saudi Arabia. Mancini suggested it's a matter of details, "a question of shooting 5cm more left or right, or 10cm lower... We'll sort it out." Besides, as Immobile acknowledged: "I was more worried before when we didn't create chances." He won't be leading the line though when Italy play the United States in Genk on Tuesday. Immobile, Chiellini, Alessandro Florenzi, Insigne and Jorginho have all gone home early to rest their legs, that are aching from playing in European competition. Moise Kean, the 18-year-old Juventus striker, has been drafted in despite playing only 12 minutes for his club this season as Mancini continues to reward Italy's youngsters for what they do in the other age groups. The precocious and much in-demand Kean scored in the Under-21s' 2-1 defeat to England on Thursday and given the Azzurrini have no competitive matches between now and the Euros next summer -- which Italy are co-hosting -- expect him and Andrea Pirlo look-alike and Brescia midfielder Sandro Tonali to get a run-out in Belgium. A depressing 2018 is ending with a smile. Whatever happens against the U.S., there is a growing sense Italy's blues are over.